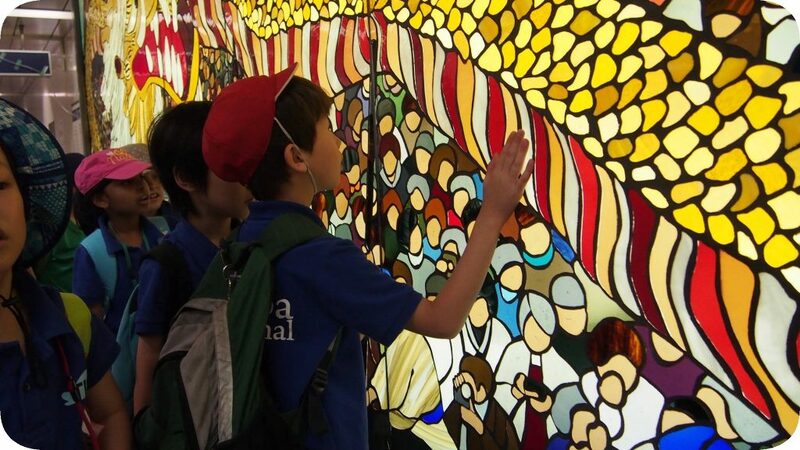 Tsukuba International School (つくば・インターナショナル・スクール, TIS) is an IB World School in Tsukuba, Ibaraki, Japan. We offer a rich educational program for students from pre-kindergarten (age 3) to Grade 12 (age 18). We are authorized to offer the Primary Years Programme (PYP), the Middle Years Programme (MYP), and the Diploma Programme (DP) of the International Baccalaureate (IB). IB World Schools share a common philosophy—a commitment to high quality, challenging, international education. For further information about the IB and its programmes, visit the International Baccalaureate website. 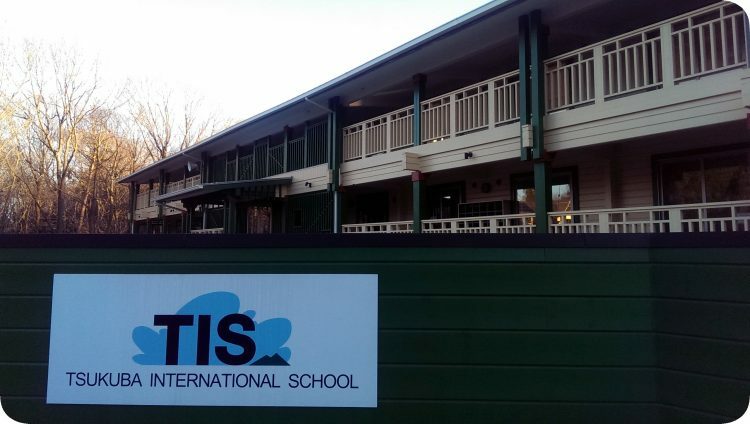 TIS was founded in September 1992 to provide an international education in English to students in the Tsukuba area. (Read more about our school history.) We offer preschool (ages 3 and 4), kindergarten (age 5), elementary school (Grades 1-5), middle school (Grades 6-10) and high school (Grades 11-12). TIS is a non-profit, religiously-neutral organization. We are very proud of our school buildings, which are two two-storey loghouses designed with the idea of providing very large classrooms for small classes. The West Building (completed in 2009) is made of imported Finnish pine and won a “Loghouse of the Year” award for its design. The East Building (completed in 2016), is a mirror image of the West Building, and is made of Japanese cedar and cypress from the local area. (The school received a subsidy from the government for making effective use of local lumber in the building.) Our classrooms give teachers the ability to offer various learning environments within one room. The wooden structure gives the school an at-home feeling that is very different from typical concrete school buildings. The school is located in a forested area and the students have many opportunities to interact with nature in the forest and on our school fields. The school year runs from late August to late June. The school day starts at 8:30am and ends at 2:00 pm (pre-kindergarten), 3:05pm (PYP), or 4:05 (MYP, DP), five days a week (Monday to Friday). There are no classes on Saturdays or Sundays. We run special after school Enrichment Programs every term to give our students more exposure to academic and non-academic learning pursuits. Our curriculum is based on the standards and principles of the International Baccalaureate Primary Years Programme (PYP), Middle Years Programme (MYP), and the Diploma Programme (DP). You can read more about the International Baccalaureate at TIS, and you can download our weekly timetables and term overviews on the PYP, MYP, and DP pages. As of April 2017, we have 195 students enrolled in the school, representing 29 nationalities (Australia, Bangladesh, Canada, Chile, Finland, France, Germany, India, Ireland, Italy, Japan, Korea, Malaysia, Mongolia, Myanmar, New Zealand, Nicaragua, Pakistan, Peru, Philippines, Russia, Saudi Arabia, South Africa, Sri Lanka, Taiwan, Thailand, United Kingdom, United States, Vietnam) and our staff represent ten nationalities (Australia, Canada, Germany, India, Japan, Philippines, Thailand, Tunisia, United Kingdom, and United States). We hire certified teachers with native or native-level English fluency. We have a team of specialist teachers for art, music, physical education, and design. We also have certified teachers for our Japanese language programs (language acquisition, language and literature). The library at our school houses approximately 10,000 volumes and is used as a resource for our students’ independent learning projects. We also have computers in every classroom. Students in Grade 4 and above are required to bring their own laptop computer to school. The internet is available in every classroom and it is used widely for research, learning activities, and interaction with other students around the world. The school provides students with accounts to learning sites such as RAZ Kids, which lets them record themselves reading books aloud and send the resulting file to their teachers, and Mathletics, an interactive math site used by more than 10,000 schools around the world. For student research needs, we have subscriptions to EBSCO databases and Encyclopedia Britannica. As the school is located in the far west of Tsukuba, we have school buses that pick students up from a variety of convenient locations in and around Tsukuba. The City of Tsukuba is an ideal location for an IB World School as it is home to numerous public and private research institutes, such as the National Institute for Advanced Industrial Science and Technology (AIST), the National Institute for Materials Science (NIMS), and the High Energy Accelerator Research Organization (KEK), and academic organizations, such as the University of Tsukuba. Our students make regular trips to the research institutes to learn directly from world-class scientists about the realities of science and the limits of our current understanding of the world. Living in Tsukuba offers a balanced mixture of urban amenities and rural delights. Its abundance of green spaces, including several municipal and prefectural parks, and the opportunities that it provides for high level intellectual stimulation make it an ideal place to raise children. The school has been a member of the Japan Council of International Schools since 1998 and the Council of International Schools since 2015. We have been authorized to offer the IB Primary Years Programme since 2011, the IB Middle Years Programme since 2014, and the Diploma Programme since 2017. If you are interested in enrolling your child in TIS, please refer to our admission procedures. You may also want to consider joining one of our school information sessions. If you are interested in learning more about our school, please use the menus below and to the right to explore our site. If you have any questions, please do not hesitate to contact us in English or Japanese. You can also get quick answers by looking at our list of frequently asked questions or filling out a form to request more information.